Eli Ross is currently a graduate student at New England Conservatory where he studies with Tom Siders on a dean's scholarship. 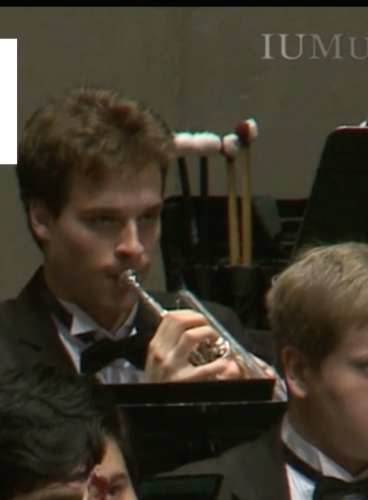 He recently graduated from Indiana University where he studied with John Rommel on a Premiere Artist Scholarship, served as Principal Trumpet of the Concert and Philharmonic Orchestras and attended Aspen Music Festival in 2017. Growing up in Minneapolis, his teachers included Robert Dorer, Manny Laureano and Marty Hodel. High school summers were spent at Interlochen where he studied with John Aley and Vince diMartino and was a member of the World Youth Symphony. In 2013, Eli won 1st prize in the International Trumpet Guild High School solo competition as well as an ITG Young Artist Award. Other solo prizes include the Schubert Club and Thursday Musical in Minneapolis and Grand Valley State University Trumpet Seminar. Outside of music , Eli enjoys playing tennis, basketball and trying to exercise his basset hound, Frankie.